Luca, an apparently normal man often has strong hallucinations, is in the car with Marco, his eccentric friend with a passion for sadness. The two are walking along a mountain road in Marco’s car (Linda), when their life is overwhelmed by a mysterious man who, positioning himself in the middle of the road, sends them off the road. 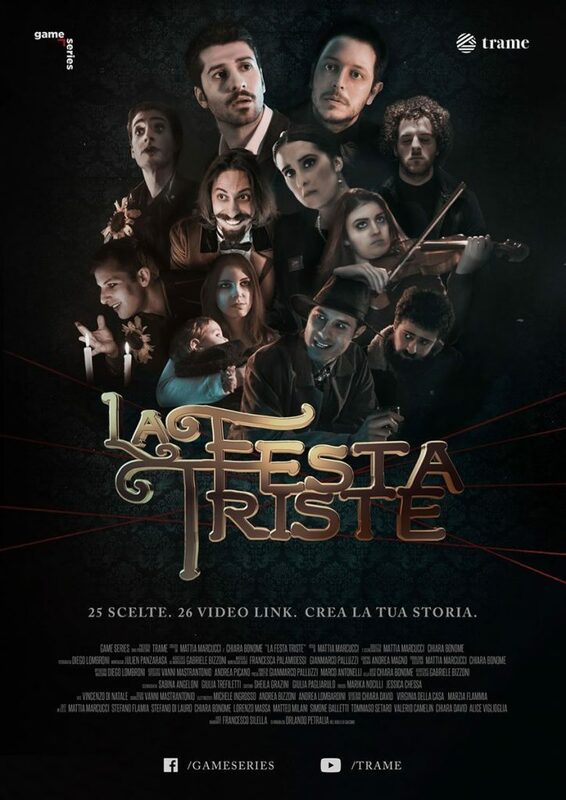 La Festa Triste is a surreal thriller animated by grotesque characters that alternates strongly comic moments with others of deep inner restlessness. Reality alternates with fantasy and truth is never so obvious.